Many people consider cast iron radiators as a timeless beauty! 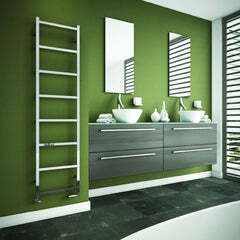 These radiators are explicitly suitable for all kinds of homes. Irrespective of the dimensions of your room you can be assured of one thing, it will be heated efficiently, if you are using a cast iron radiator. Why Choose Cast Iron Radiators? The best quality about cast iron radiators is that they are suitable anywhere and everywhere. You can install them in a conservatory or for barn conversions and still be guaranteed uniform warmth. This is something remarkable as such spots generally have tall ceilings. Such home-structures either consume a lot of heat or the room cannot hold the warmth within. Cast iron radiators will also add to your home décor with their presence. You get multiple options for cast iron radiators in terms of different heat output specifications, especially from us. Some models have better heat output while others may have a good texture or better durability. At times, you need a radiator of a specific size in order for it to fit at particular spot in your home. Some of our clients have artistic wallpapers installed in their homes and installing radiators in such a background can be tricky. In such situations, cast iron radiators fit the bill completely in terms of the look and heat output. Another attribute which compels you to choose cast iron radiators is that they are natural heat sources and do not hamper the natural ecosystem. 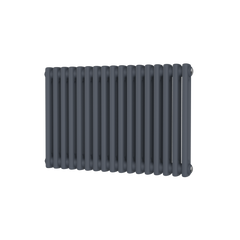 Cast iron radiators retain the heat generated during the last circuit, which makes it unique compared to other models of radiators available in the market. This results in an immediate release of warm air across the room. This also allows the system to maintain a constant temperature within a room. Earlier, cast iron radiators were chosen only for traditional homes that have a vintage look. Over the years, people have started to realise that these radiators are environment friendly and thus, could be a better option compared to other radiators, with the use in modern settings also. Can You Replace Your Old Steel Radiator With A Cast Iron Radiator? Yes, you can. 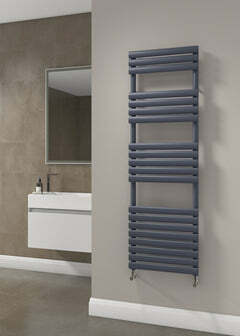 This is possible because the pipe work of this radiator is identical to those used on old steel radiators. This means you do not have to change the pipe work and are saved from any additional expenditure. Where are cast iron radiators suitable? If you have recently have carried out a renovation in your conservatory or barn you can install a cast iron radiator there, as it will offer you comfortable warmth all day long. If you opt for any other radiator there are high chances that you may have to keep your radiator on for long hours. Cast iron radiators have a long lasting effect on the room making it the more suitable, energy and cost efficient option. Some radiators cannot generate sufficient warmth in a room, which has furniture, TV and other equipments. This is not the case with cast iron radiators as they can distribute enough and constant warmth in room with versatile dimensions. 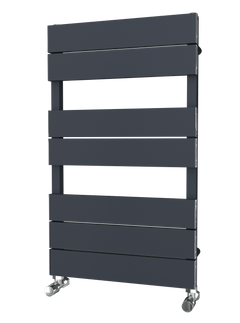 Sectional column cast radiators are favoured as they easily fit in withmultiple requirements. Cast iron radiators are more flexible in terms of mounting and price range. You can opt from a large range of colours like jet black, black metallic, bronze grey sparkle, old penny bronze, beige grey, foundry grey, bright white, buttermilk, full polish, light grey, etc. when buying a cast iron radiator. How To Paint Your Cast Iron Radiator? We have dozens of factory finishes you can choose from, however If you wanted to get the cast iron radiator ready primed, you can give an entirely new dimension to your radiator by painting it. All you need is the right kind of paint and learn a simple trick to paint it and give it a fresh and bright look! It is better to use durable paint so that you do not have to re-paint it in the near future. First turn off your radiator and allow it to cool down completely before you actually begin painting. If you apply paint to a hot radiator, the chances of improper paint adhesion increases. Therefore, turn off the radiator valve that controls the heat before you actually start the process. Approximately, all radiators cool down in a span of 30 minutes or at the most an hour. You can start painting when your radiator is at room temperature. The next step is to set up the paint area. You can simply cover the surrounding area with a rough cloth or sheets of newspaper. You can cover it with painter’s tape so that your floor is not directly exposed during the painting process. This also reduces the chances of paint falling on the floor. You can also cover spots on or around the radiator that you don’t want to paint and you can do this by using painter’s tape. If you are not good with paints avoid using aerosol paint as you might end up painting the area surrounding the radiator. Alternatively, you can place a cardboard in the surrounding area to protect it from paint. It is important to clean the radiator before you start painting and you can do so with help of a mild detergent, scrub brush and rag. Try removing all dust and dirt particles so that you can carry out your painting process smoothly. Paint cannot hold on to a rusty surface. So, it is essential that you have a rust- free surface. You can use a stiff wire-brush to clear all the rust and clean off all the debris with the help of a shop vacuum. When you go paint shopping, you may come across different varieties of paints. You should ideally opt for a paint that is suitable for metal surfaces. You can also select a paint that can hold on to the high temperatures that working radiators operate on. You can begin the actual process of painting with a base coat. Initially, you can use a small or medium sized paintbrush. You can select a spray paint to make your task easier and faster. Additionally, spray painting gives you good coverage and a sparkling finished look. The best technique for this type of painting is to hold the can about 10”-16” from your radiator. In order to prevent the paint from dripping excessively, you must keep moving it in a sweeping motion. Apply multiple thin coats and the interval between two coats should be less than an hour. If your preferred option is a paint brush, you can start painting from the top and gradually move towards bottom. Make it a point to not paint the valves, as it may get difficult to open the valve once they are dry. If there are specific manufacturer instructions make sure that you follow them. Apply the second coat only if necessary. How can you clean your cast iron radiator? In the UK, you can choose from a diverse range of radiators to install in your home. Some old UK homes may have older models of cast iron radiators others may have the latest models. Irrespective of the type of model you install, it is mandatory for you to keep them clean and up-to- date. In order to keep your radiator clean and safe you must follow all the precautionary measures. The simplest way to do this is to turn off your radiator before you start your main cleaning process. The worst radiator burns occur due to improper maintenance. You not only have to switch of your radiator but also allow it to completely cool down for some time. This is the right time when you can apply any cleaning solution to it. It is also necessary to utilise the right type of cleaning solution for your radiators. Merely wiping the dust may not necessarily clear off all the dust particles on the radiator. Instead vacuum dusting is a better option to eliminate dust. You can begin your cleaning process by vacuum dusting your radiator. It is better to use a vacuum cleaner with a suitable attachment that easily cleans of dust on the radiator and surrounding area. In this manner, you will save a lot on both time and effort. The smooth surfaces of radiators can be easily cleaned but you may have to put in some additional efforts for sticky and tiny areas within your radiator. The stylish and modern curvy models can be a bit tricky to clean. There are some radiators which have minute intricacies in their design. All such radiators need an all-round dusting if you wish to maintain them for longer durations. Moreover, you have to ensure that you dust them on frequent intervals. For such spots, you can use a rough cloth that does not get easily ripped by the design or the curves. For instance, you can use a micro-fibre cloth for certain sections of your radiator as you don’t have to worry about them getting torn. You may have regularly maintained the flooring in your house and obviously you might not want all your efforts to go to waste during the cleaning process. Old papers or a protective sheet can be used to protect your flooring. While you are cleaning, simply spread a protective sheet of paper or any other material just below your radiator. Nasty bits of grime or dirt particles are commonly observed during the cleaning process. So, be extra careful if you don’t want your beautiful carpets or rugs to be stained during the cleaning process. Cleaning the even surface of the radiator with a home-made detergent is comparatively an easy task. A soap detergent is a smart option for greasy surfaces. Mix some amount of detergent in a bucket full of water and you are ready! The proportion of both elements can be determined based on your own personal preferences. If you use this technique on a regular basis (probably once every month), your radiator should remain stain-free for a long period of time. It is better to mix the detergent and water in a tiny bucket so that you can move about swiftly around the radiator. Once your solution is ready, dip a medium sized sponge in it and you can start cleaning. The sponge you use may accumulate lot of grime and other dirt particles on the radiator. This is good but you may have to replace the solution several times while cleaning your radiator. If your sponge is dry it will not clean your radiator, which makes it important to make sure that the sponge is damp before it is sued. Do not be in a hurry to put on your radiator, allow it to dry completely. Switch it on only when it is completely dry. This process is applicable to almost all types of radiators. It is advisable to keep a constant check on the quality of valves as well. We have the required expertise to offer you customised cast iron radiators that match your personal requirements just perfectly! We boast a wide range of radiators right from traditional models to the latest modern ones. We can help you choose stylish valves for your radiator keeping in mind the technical aspect of the radiator. We offer an impeccable fusion of contemporary and Victorian style cast iron radiators. In fact, we can provide you with radiator models that are both classic and elegant. Call us on 01803 450330 for more information, or if you wanted an advice on how to choose a Cast Iron Radiator.